Their world a mystery to me, my fascination with Geishas is one reason I am walking the streets of Gion. To catch a Gion Odori (a geisha dance performance) at the Gion Kaikan Theater was high on my list of priorities but the timing was off. So the next best thing is to take the streets where they frequent. 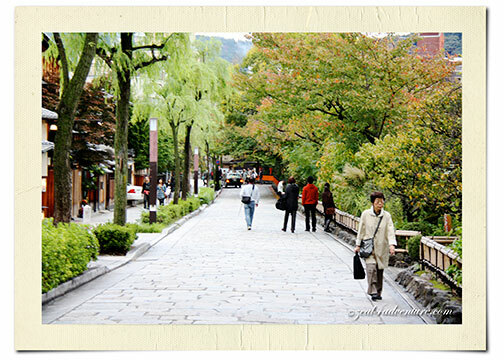 Filled with shops, restaurants and ochoyas (teahouses), Gion is Kyoto’s most celebrated geisha district, Hanami-koji being the most popular. 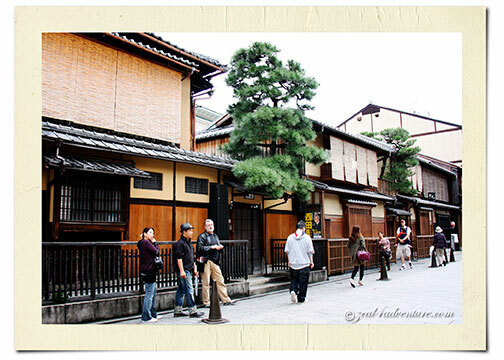 The street and side alleys are lined with beautifully preserved traditional wooden townhouses called machiyo. Many of which have become expensive restaurants, serving Kyoto-style kaiseki ryori (Japanese haute cuisine), some even extend to dance performances by real maiko dancers. The number of geishas has significantly declined in the last one hundred years and to catch a glimpse, of either a geisha, or a maiko is scarce today. But despite the dwindling lot, the present “women of art” still practice her skill with the same diligence as those before her. 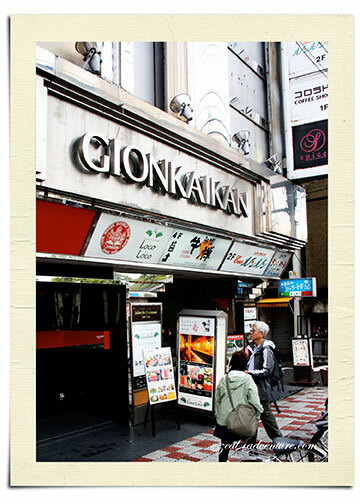 More than my fascination with geishas, my obsession with food brought me to Gion. The best way to get acquainted with the places I visit (in my opinion) is to immerse in the local cuisine. 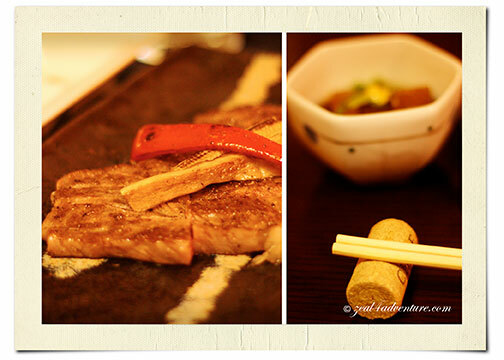 Japanese food is no exception even if it is arguably among the top in the international cuisine scene these days. In fact, as I ventured into its different cuisine, I went home with a deeper appreciation and understanding of its food. 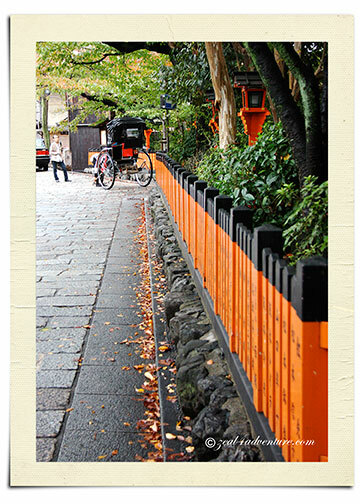 The cobbled-stoned Shinbanshi St. is a traditional building preservation area in Gion Shinbanshi. 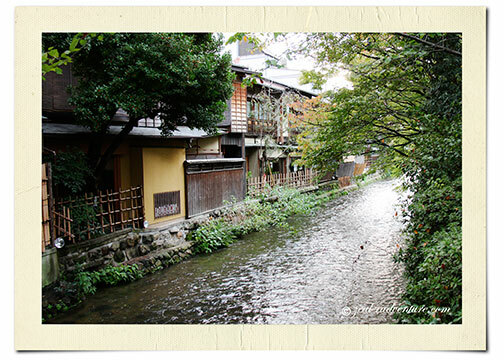 The street runs along the Shirakawa canal lined with willow trees, making it one beautiful, scenic stroll. On top of that, it is a restaurant row, most of which overlooks the canal. 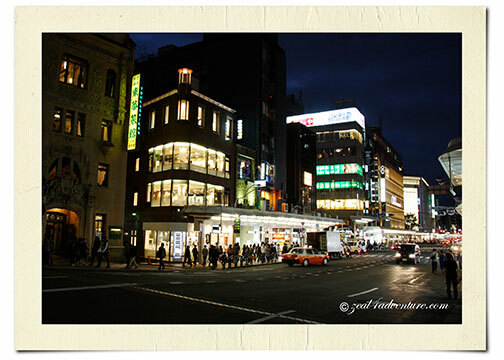 We walked the strip of high-end restaurants and teahouses partly in search for a place to dine that evening. Pontocho restaurants overlooking the river transform into a spectacular view at night. 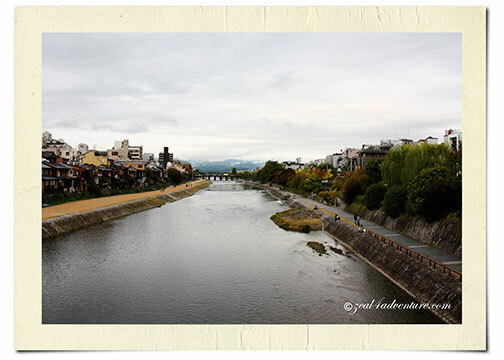 Across the Kamogawa river is Pontocho, said to be home to many geisha houses and traditional teahouses. 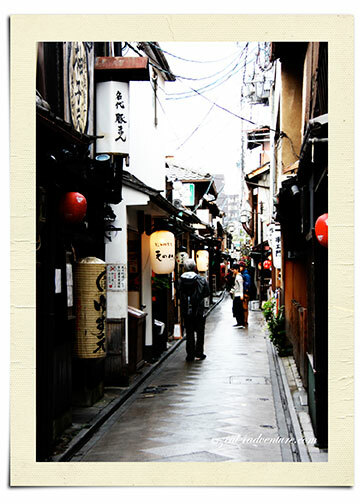 The alley that runs parallel to the Kamo River, once a leading geisha district, is also one of Kyoto’s most atmospheric dining areas. 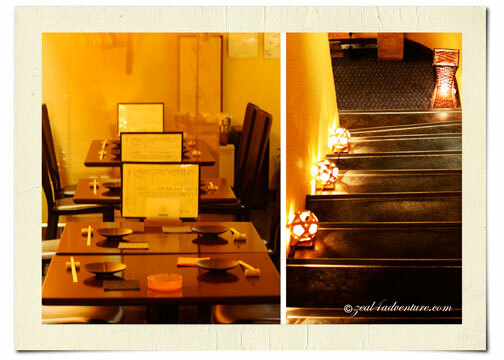 It is packed with a range of dining options, including affordable Yakitori, traditional Kyoto cuisines and private establishments. 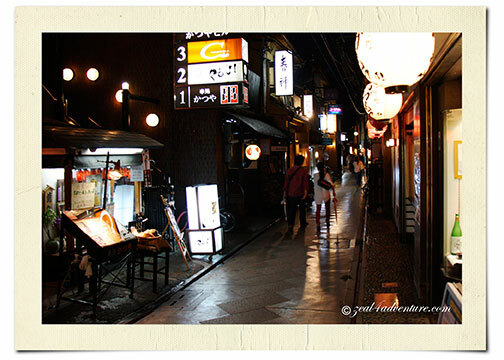 In this small alleyway, we found Kyoshikian – a well-appointed teppanyaki-style restaurant that had us at Wagyu. So relieved that we opted to share, as I could only take so much of the beef sirloin due to its intense marbling. 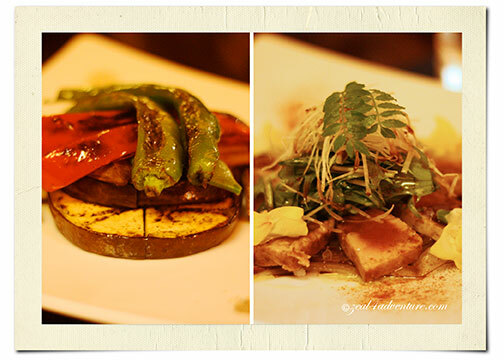 A side of grilled vegetables and seared tuna was perfect to tone down the richness. Walking back to Shoji-dori, Gion’s main street, after a truly filling dinner, a woman totally made up and in full kimono regalia walked pass me. “There’s a geisha”, I whispered to my friends. “She could also be a maiko”, one whispered back. wonderful. thanks for giving the peek into your walks. the walk is lovely and scenic culminating in a wonderfully prepared meal. i’m not a beef fan, but i’m aching to taste wagyu beef. i have tasted the american version, but not the japanese version.